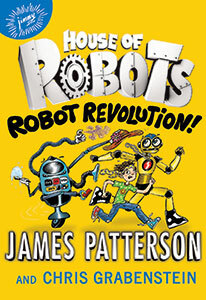 In this new highly-illustrated series from James Patterson and Chris Grabenstein, an extraordinary robot signs up for an ordinary fifth grade class...and elementary school will never be the same! 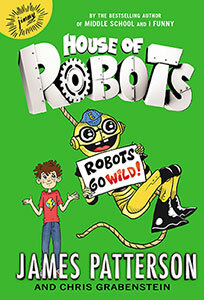 It was never easy for Sammy Hayes-Rodriguez to fit in, so he's dreading the day when his genius mom insists he bring her newest invention to school: a walking, talking robot he calls E—for "Error". Sammy's no stranger to robots—his house is full of a colorful cast of them. But this one not only thinks it's Sammy's brother...it's actually even nerdier than Sammy. Will E be Sammy's one-way ticket to Loserville? Or will he prove to the world that it's cool to be square? It's a roller-coaster ride for Sammy to discover the amazing secret E holds that could change family forever...if all goes well on the trial run! "All I can say is interesting, cool but most important I LOVE IT SO MUCH!!!" "It is a book that has the thickness tweens like without any if the violence or other things that parents cringe from." 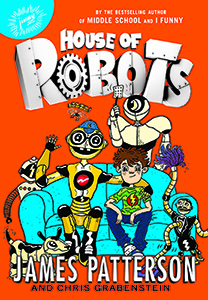 "I think this a great, lighthearted book and is a great starting point for a great series."